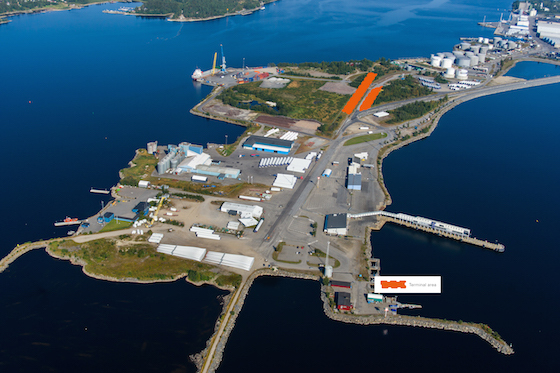 The City of Vaasa and the municipality of Umeå received NDPTL funding last year for compiling reports on how to improve the space utilisation of their ports. NDPTL stands for the Northern Dimension Partnership on Transportation and Logistics. The reports examined the extra capacity required by the increasing stream of goods through the Vaasa and Umeå port terminals. Moreover the reports treated the rail freight terminals at the ports for loading and unloading, and investigated how their logistics could be improved. The project also included completing a brochure about developing Vaasa and Umeå ports, mainly directed at potential sponsors. The soon to be completed project’s lead partner is the municipality of Umeå, while the Vaasa Region Development Company VASEK is a partner. Kvarken Ports’ Port Manager Matti Esko considers the report compiled for the NDPTL project extremely advantageous. 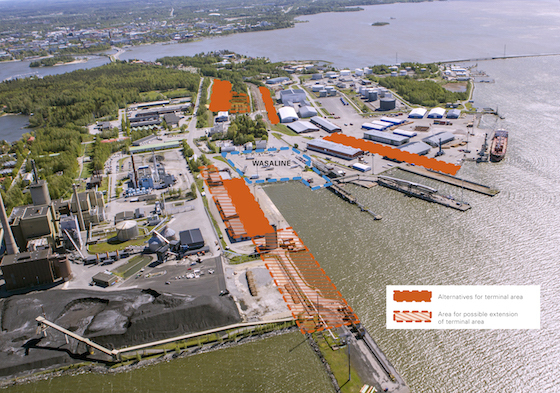 It helped to find a serviceable solution for improving the rail freight terminal area in the Port of Vaasa. “The most practical solution was discovered at a workshop, whose participants, in addition to the parties implementing the project, included users of the port who have practical experience of the port’s logistics. In my opinion, working with the port’s users on the development plans is the best way to implement the project,” Esko says. In Vaasa, a decision has already been made to start the repairs in 2016 on the track from the town center to the port, and a cooperation agreement on the matter has been signed with the Finnish Transport Agency. The repairs are part of the work to improve the city’s logistics. The Port of Umeå has seen some radical improvements over the last few years. The NDPTL funding has enabled the progress of these developments, for example, through planning the track and raw material terminals that have long been on the wish list. The project has involved, for example, environmental surveys and soil testing in the terminal areas. The planning of the terminal areas has now proceeded to the point where detailed plans of costs have been made and building negotiations are complete. “The project funding has allowed us to further develop the north-to-east transport route from the coast of Norway towards Russia and the Baltic countries. The ports of Umeå and Vaasa, and the ferry service between them, are important development targets along this multimodal route,” says the developer of the infrastructure in Umeå, Isabella Forsgren from INAB (Infrastruktur i Umeå Ab). In late November, Forsgren was invited by the North Sweden and North Norway European Offices to give a speech in Oslo about Umeå and Vaasa’s joint development project at a seminar dealing with the Northern Dimension Partnership and its significance. The Umeå and Vaasa project is the first one between Sweden and Finland that has been granted NDPTL funding. The NDPTL project is one of Vaasa and Umeå’s joint development projects relating to the port and logistics. It supports the Midway Alignment project, whose target it is to improve freight services throughout Kvarken. “These projects are part of a strategy that aims to create better conditions for freight services for the region’s companies. It involves various projects that are implemented as part of our long-term development work,” says VASEK’s Logistics Expert Anna Måtts. She thinks that it is only natural that projects concerning the port and shipping are implemented in cooperation with Umeå, since the port activities of Vaasa and Umeå are run by the same company, Kvarken Ports. The northern location of these ports may prove useful in planning logistic follow-up projects, although the route between Vaasa and Umeå is not currently included in NDPTL’s strategic network and the weather this December does not make it obvious that this is an Arctic area. The event in Oslo proved that NDPTL’s interest in the route across Kvarken has increased. “Highlighting Arctic areas has clearly become a trend over the last few years. This is why a group of students from the Vaasa University of Applied Sciences is taking a project course with the theme of Arctic Dimension. During the course they examine whether it pays for the Vaasa region to be involved in this Arctic trend,” VASEK’s Måtts explains. The Northern Dimension refers to collaboration between four equal partners: the European Union, Russia, Norway and Iceland. Geographically, the northern dimension area covers North-West Russia, the Baltic Sea and Arctic areas of Europe, including the Barents Region. The target of the Northern Dimension is to support stability, well-being and sustainable development in the region through practical cooperation. The aim of the Northern Dimension Partnership on Transportation and Logistics is to make important infrastructure projects more effective by acting as a regional forum on transport and logistics issues and by supplementing existing collaboration structures. The funding for the partnership programme comes from the participating countries’ national budgets, the EU and international and national financial institutions.